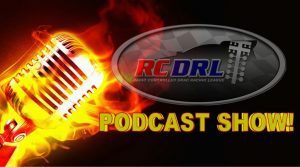 The RCDRL Podcast Show reunites host Heather Bowman and the Mighty Merc for a show that promises to get you caught up on all the latest news, events and happenings around the league. They will touch on the Garca Cafe unique finish that’s coming up this weekend, along with the heavy heartfelt Lenny Zuppardo Memorial Nationals that took place on March 24th. They even plan to call a member from RCDRL LOUISIANA during the show. So tighten up your seat belt, sit back relax and enjoy our controlled Chaos… we call Episode 41! 2018 Summer Doorslammer Instant Green Event Returns to the US Super Nationals!